It’s all about the Saudis. 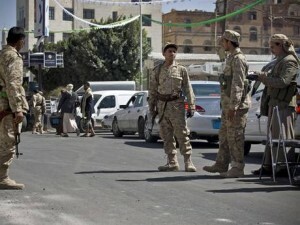 No matter how complex the new Yemeni civil war may appear – nor how powerful the Houthi rebels have become in the capital of Sanaa where they now encircle the presidential palace – it’s the Zaidi sect of Shiism which the Houthis represent that frightens the Sunni Wahabi monarchy of Saudi Arabia, and not without reason. For more than five years, there has been armed conflict between Saudi forces and the Houthis, who at one point captured a low mountain range inside the Saudi border. The Saudis blame the usual suspects: Iran and the Lebanese Hezbollah. The Houthis blame the usual suspects: the Sunnis of Yemen and their Saudi supporters along with – you guessed it – the United States. But like every crisis in the Middle East, the Yemen conflict is a little more nuanced than news dispatches might suggest. Indeed, Yemen’s first independent ruler was a Shia Zaidi – not a Sunni – who extended his territory over much of northern Yemen between the world wars. The Imam Yahya was head of the Zaidi sect, whose beliefs and worship have almost as much in common with Sunni Islam as they do with Shiism, but he struggled against the Saudis when they seized Asir and Najran from what Yahya called “historic Yemen”. Oxford scholar Eugene Rogan has described the ruthlessness of Yahya’s successor, his son Ahmed. When Ahmed’s son Badr was overthrown in a military coup, Nasser supported the new republic and the Saudis sought to destroy it, supporting the Shia Zaidi rebels. The sad story of Yemen’s partition and eventual (and unhappy) unity, of Sanaa’s 33-year history of dictatorial rule under Ali Abdullah Saleh – himself a Shia Zaidi – and then the inevitable minority claims of disenfranchisement, meant that the Arab awakening – a bloody “spring” in Yemen – would open still-painful wounds. Saleh’s departure was to produce a new constitution unsatisfactory to the Houthis. The Saudis now feared that the Shia rebels of the north were supported by Iran and thus – given their own substantial Shia minority – a threat to the stability of the Kingdom itself. Many were the Saudi claims of Iranian and Lebanese Hezbollah support for the Houthis – and many were the denials of Iran and the Hezbollah – but the growth of al-Qaeda’s Yemeni faction (following, of course, the same Salafist-Wahabi beliefs as Saudi Arabia itself) brought inevitable US military involvement. US drone strikes in Yemen were directed against al-Qaeda, supposedly on behalf of the Saudi-supported Yemeni government. But in December 2009, Houthi spokesmen began to catalogue a series of US raids against their own forces. The Houthi advance on Sanaa divided the government army’s strength – since it was now battling al-Qaeda (on behalf of the Americans) and the Houthis (on behalf of the Saudis). Al-Qaeda in the Arab Peninsula moved north to fight the Houthis, garnering Sunni support as it did so. Yemen is not Syria. But America’s skewed comprehension of the Middle East has now produced a remarkably similar scenario: instead of the US trying to destroy both the Shia Alawite Assad regime and its Sunni Isis enemies in Syria, it now appears anxious to crush the Shia Zaidi Houthis and their Sunni al-Qaeda enemies in Yemen. The Saudis would have it no other way.